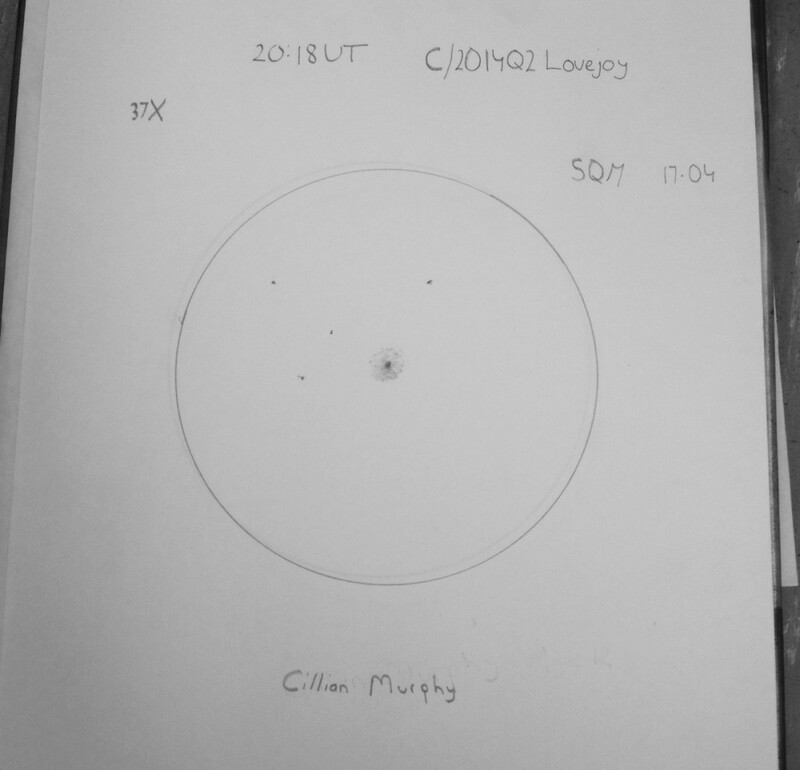 Cillian Murphy St Cronans Stargazers Astronomy Club – Age 12 years Pencil sketch on white paper . 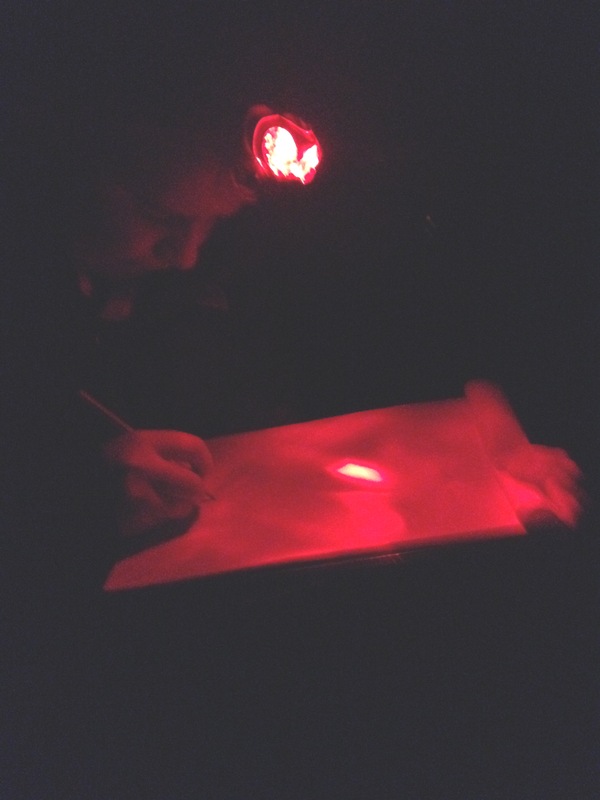 Despite the strong moonlight Cillian was observant and managed to produce a sketch of Comet Lovejoy during our first club meeting of the season. Our observations and Cillian’s drawing were helped greatly as the school secretary kindly turned off the lights in the car park. Hi Deirdre, I look at your website, you did a great job with this animation. With our sailing boat Aquarellia, we sailed a full year in the Irish east coast and had a very very good time there. Spending some days in the small harbourg of Wicklow stay a good souvenir for us. Say to Cillian that a new ASOD sketcher is born. This is a very impressive eyepiece capture of comet C/2014 Q2 Lovejoy. You are a lucky young man to have the guidance of Deirdre Kelleghan. Well done Cillian! Great to see youngsters observing and sketching. Great skill to have and very rewarding – keep it up.